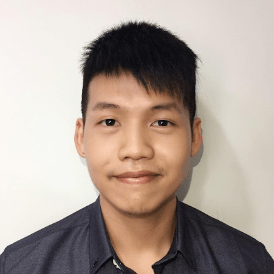 Harvey Jhuang is a backend engineer who believes in "Data-driven" and has a keen observation to find valuable insights. Moreover, He is a highly proactive and fast learner who always makes good use of his free time to enhance his ability through online courses or books. Most importantly, he is always up for the challenge, so he is willing to take difficult tasks! Design and build Business Intelligence System with Golang. (In progress)Build a data pipeline system with Kafka to Extract-Transform-Load(ETL) data automatically (the largest brand has 30 million orders per month). Calculate probability for all casino games and recommend the best odds. Besides, we find 63 games with abnormal odds to prevent our client further loss. Maintain and improve the Operating System, especially on MySQL index tuning. Manipulating, cleansing & processing data with python and SQL. Analyzing raw data and drawing conclusions. Preparing data reports and reporting to colleagues & senior managers. Carrying out specified data processing and statistical techniques. Advising on the suitability of methodologies and suggesting improvements. Use the Apriori algorithm to find the best combination of products and the sales of the new product set is 7 times more than the sales of the old one. Calculate repurchase rate for each product and find a strategy to increase members' repurchase rate 5%. Build customer segmentation and VIP system to increase members' average purchase times from 1.43 to 1.74. Based on the behavior of members, find the best time for app push and increase the conversion rate from avg. 1.7% to avg. 2.3%. Calculate net promoter score (NPS), customer lifetime value (LTV) and cohort analysis to check the health of our eCommerce. Prepare and present daily securities analysis report.